This is yet another corner of a field created by the building of the A6 By-pass. 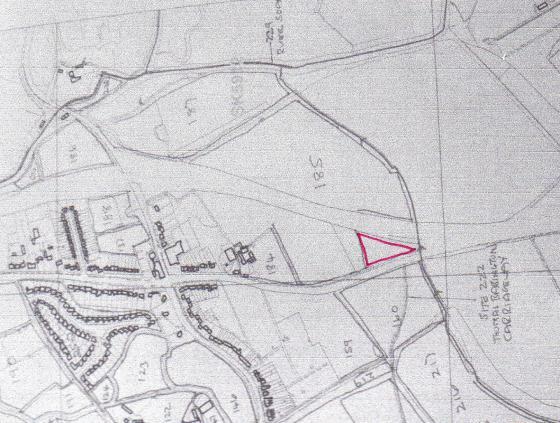 It was once part of a large field called Site 185 Forty Close. A visit was first made in the summer of 2003 when I was building the Rothley Village Website and was doing pages on Shopping in Rothley and I included Oska Copperfield. In the far corner this field abuts the current and ancient Rothley Parish Boundary where Chris Tivey has a piece of land where he used to grow dahlias but now grows alstroemerias. I will have to visit this site to check out what has changed. The main area is used by Oska Copperfield Nursery, which is not open to the public, where they grow rare and unusual plants. Since 2008 Ash Forrester, who was the Horticulturist at Brooklea before it changed hands, has started a vegetable growing business called Veg UK by the side of Oska Copperfield. A visit will be made to see how the land is now used for modern purposes. In 2012 Veg UK became The Bee and The Bean. XHTML 1.0 validated. WCAG compliant. Page generated in 0.1223 seconds.